Buy your first shares today in three simple steps. Important information: Our services are designed for investors who are happy making their own investment decisions. If you are unsure of the suitability of an investment for your circumstances please seek personal advice. The value of investments, and any income from them, can fall as well as rise so you could get back less than you invest. Tax rules can change and benefits depend on individual circumstances. You can start share dealing as soon as you've opened a trading account with a stockbroker - and buying shares is quick and easy through Hargreaves Lansdown. You can open an account in under 5 minutes and start dealing shares at £11.95 per deal online, which can reduce to just £5.95 per deal dependent on the number of deals placed. You can then open an account online with a debit card in less than 5 minutes. Please read the Key Features and T&Cs before you apply. Search for your chosen investment online and provide the details of the number or value of shares you are looking to deal. You will then be provided with a live share price directly from the market and you can complete the trade. Our Fund & Share Account has no investment limits and is flexible enough to allow you to access your money at any time. Our Stocks & Shares ISA allows you to shelter up to £20,000 from tax, as well as being low cost and easy to manage. 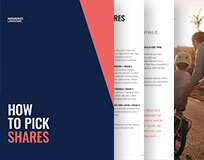 Discover six common sense methods to selecting shares. Plus, learn the basics of how to value a share and spot price trends. The online share dealing charge is determined by the number of deals you placed in the previous calendar month. We count deals placed across all the Vantage accounts held under the same client number. The above covers shares, exchange traded funds and investment trusts, there is no dealing fee on fund dealing. Hargreaves Lansdown accounts benefit from a number of features designed to help our clients re-invest and save money. Deal thousands of UK, American, Canadian and European shares. iPad & iPhone are trademarks of Apple Inc. and Android™ is a trademark of Google Inc.